Grackles' coats have been looking a little patchy as of late, but, it turns out, that unsightliness is a good thing. “Terrible looking. They’re kind of Frankenstein-looking birds now,” master birder and Audubon Society member Judith Bailey said on a recent birding trip. 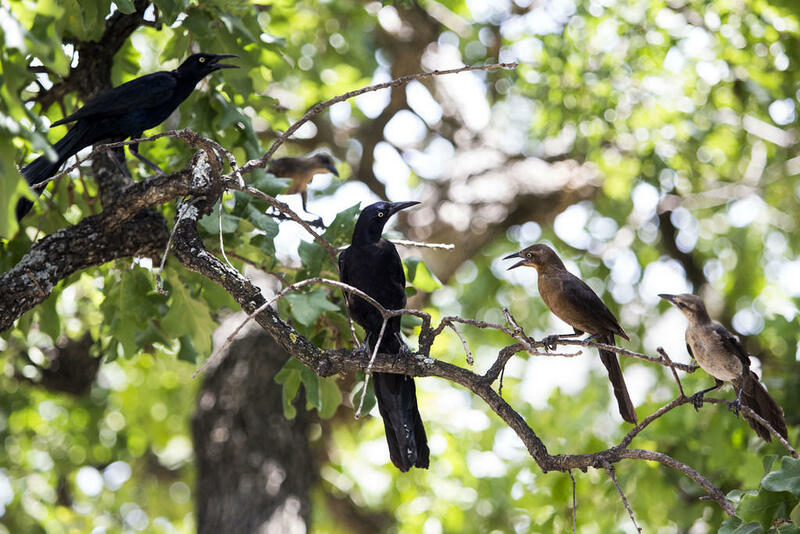 But it’s actually all part of the normal grackle lifecycle. The birds are molting, shedding their feathers so they can grow new ones for the winter. 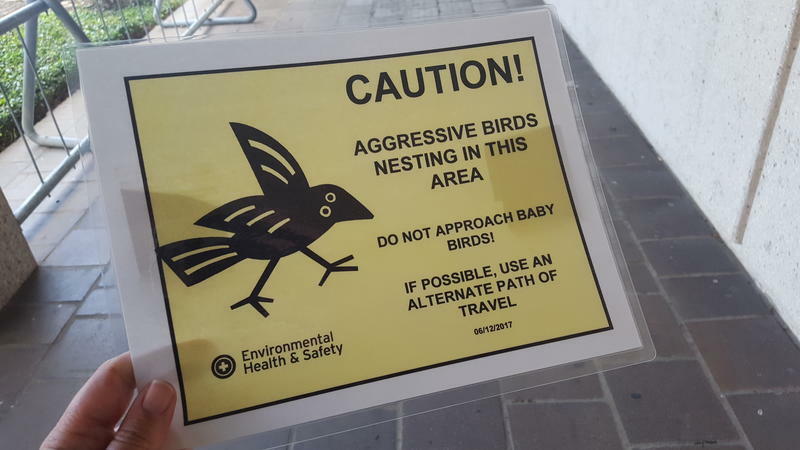 It typically occurs this time of year, after their offspring have left the nest. 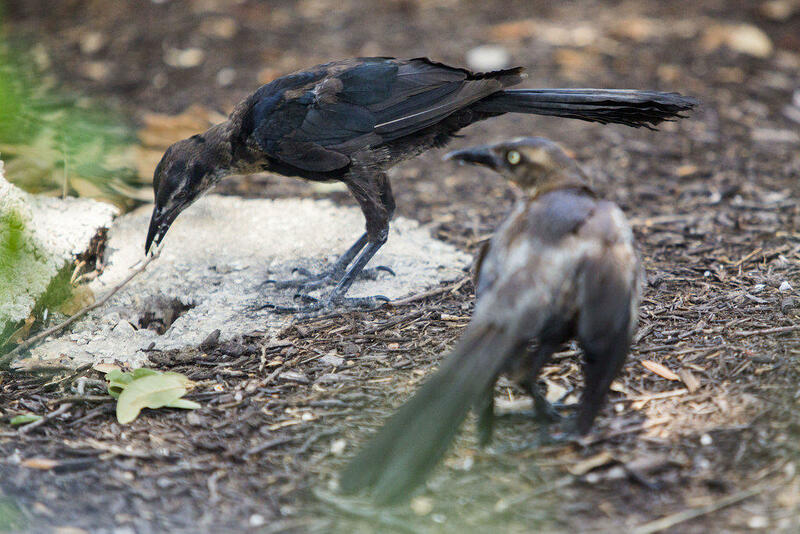 Before then, they’re too busy feeding grackle babies to molt. “They have to have enough energy to replace those feathers,” Bailey said. 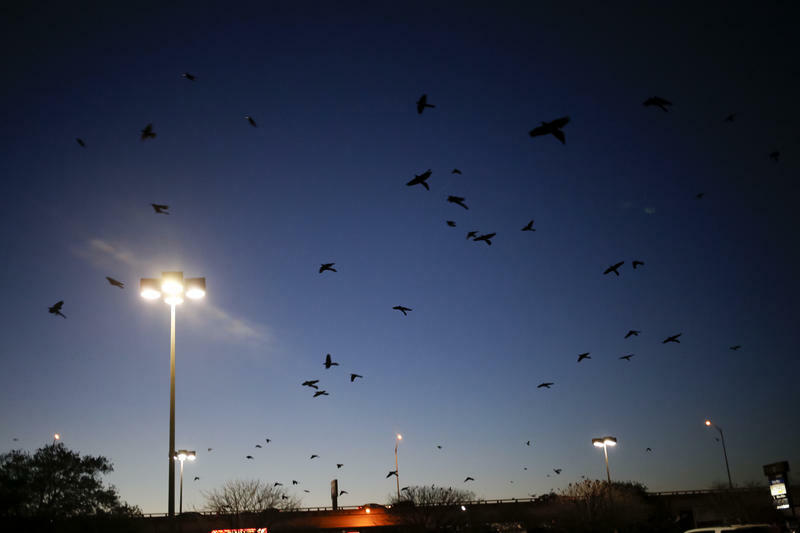 A gathering of grackles at Central Market on North Lamar. The juveniles (left) still have a ways to go until their winter plumage fills out. 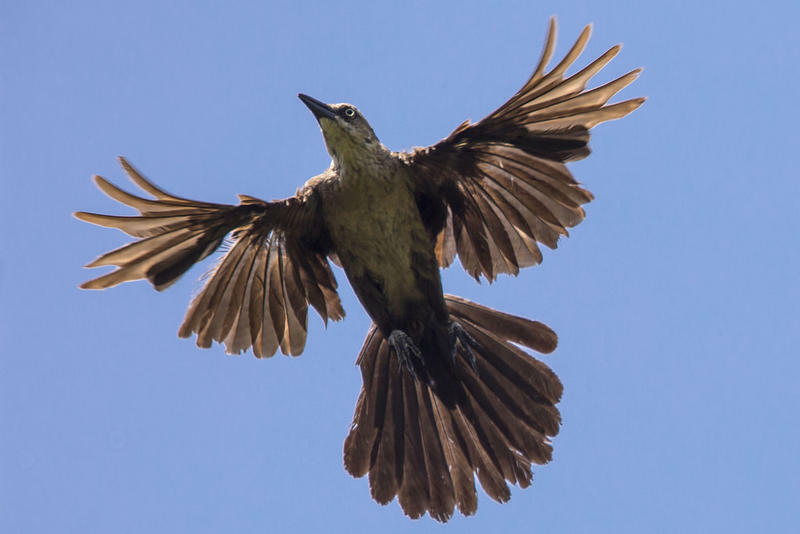 Speaking of baby grackles, they are also looking really strange this time of year. “They’ve got the down still on the parts of their body, and then they’ve got these misshapen feathers going out and trying to look like an adult,” Bailey said. That's what gives them that Frankenstein-look. The patchiness and missing feathers indicate good overall health. 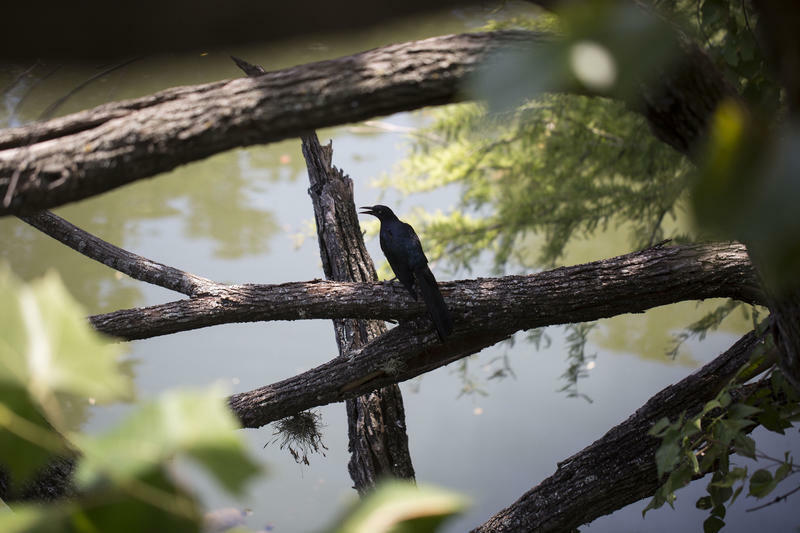 If it’s pretty grackles you’re after, Bailey said, they should be looking a little more presentable by fall.